*when compared to the Big Box stores' install prices. 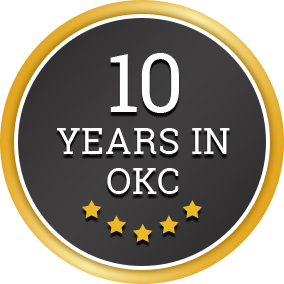 Looking for a trusted Oklahoma City Fence Company? Need a reputable Oklahoma City Fence Company? From Edmond to Moore to Norman, we provide excellent fence installation in the greater Oklahoma City areas. We are accredited BBB fence contractors. A Worry-free experience. When you choose us as your Oklahoma City fence company, we do our best, for your experience to be completely worry-free and enjoyable. We guarantee our work for a full year. Our goal is to see that you get a quality, long lasting, fence installation and that you are completely satisfied. All of our phone and written estimates are free. Either call or request a free estimate online. If you call, we'll initially offer an over the phone estimate. If you request online, we'll call you or send your estimate via email. And, when you call us to come out and visit your property or project, if it’s important to you, you’ll know we’re a non-smoking professional company. We’re respected in the community. We are regularly completing fence building projects for new home builders, commercial businesses, residential home owners, including large commercial and government projects. We have an “A” rating as a Better Business Bureau accredited fence company, and plan to keep it that way. 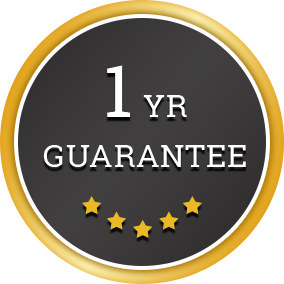 Check out our fence reviews and raves from our growing list of satisfied customers. We're Environmentally conscious. Choosing Cedar and steel over Pressure Treated panels and posts. We recommend and use materials that last longer, look better longer, have no chemical run off, and are safe for us and your family. You can save 30% or more. 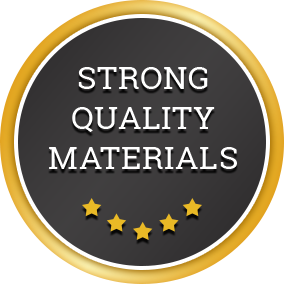 Just by choosing us over Them, you wisely upgrade to better, thicker materials, excellent craftsmanship, and a much lower price. Priceless! All the fences you see on our site are ones we have built or our materials. A Better Fence Construction Co.
We showcase here our most recent, attractive Wooden Fence Designs we've installed and constructed including Absolute Privacy designs. Looking for the best chain link fence pricing? And, the lowest cost start to finish of a chain link fence installation at your home or business? A Strong Metal Fence Post is key to your install standing against gusting winds. When we install a metal fence post, we make sure that you are getting the strongest, long lasting wooden fence. Building a Wood Fence? We got great materials here in Oklahoma City and easy steps How to Install Privacy Fence to get you started. You'll be quickly Installing a Wooden Fence at your home. Save 30% by choosing your Local, Oklahoma City Fence Company vs. a corporate, Home Improvement Center. We are a local fence company serving Oklahoma City, Family Owned and Operated, Fence Company...We're looking for a few good customers! Check out our Company's Fence Reviews and Raves of customers like you! Request a Free Estimate from A Better Fence Construction Online, a Better Business Bureau Accredited Oklahoma City Fence Company. Figure the cost of new fencing options here for yourself. Get a idea of your options with your available budget.